Tool manufacturer Makita has released two work jackets with integrated personal fans to help contractors stay cool on the jobsite. The 18-volt LXT lithium-ion cordless Fan Jacket includes two recessed fans that circulate air inside the jacket. It comes in two fabric choices, including a cotton model and a titanium-covered polyester version that is UV resistant. 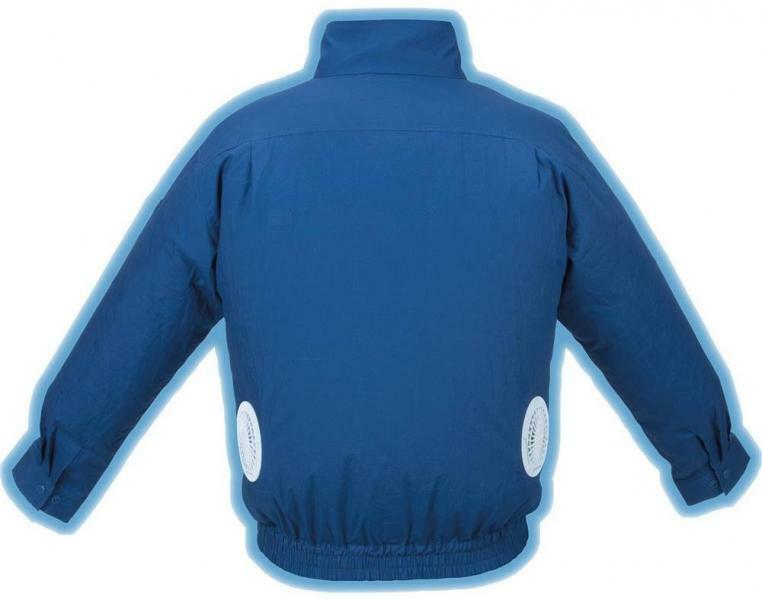 Two recessed fans, located on the lower left and right sides of the jacket, can be operated in four different air flow modes, including turbo mode. The jacket also fits two ice packs in special compartments for added cooling. The jacket can run for up to 15 hours on the highest setting when using a 5.0Ah battery, the company says. Each jacket has five pockets, including two zippered chest pockets, two side pockets, and a sleeve pocket. Sleeves can be rolled up and secured with a built-in loop and button. Users can also charge smartphones and other devices using an on-board USB power port. The jacket is a part of Makita’s LXT system of cordless tools, which all use the same 18V lithium-Ion slide-style batteries.